Most parents and children understand the need for wearing a protective helmet when playing a contact sport, but unfortunately, another very important piece of equipment for safety when playing sports never crosses their minds. Mouth guards protect more than just the teeth, tongue, and cheeks, they also can reduce the severity of concussions. Everyone should wear a mouth guard while participating in contact sports and other recreational activities. There has been a rise in the youth participating in competitive sports. As a result of the growth in participation levels, incidence on injury has also increased. It has been reported that an athlete is 50 times more likely to sustain damage to the teeth when not wearing a mouth guard. Often times these injuries can result in permanent damage to your teeth and other oral structures. • Fracture – can be classified as a root fracture, broken and or chipped tooth or teeth. • Avulsion – entire tooth including the root, are knocked out. • Luxation – tooth in socket, but turned in the wrong position. With any of these types of injuries do not allow the athlete to finish the game before seeking treatment. Get them to a dentist within 2 hours for the best outcomes. Mouth guards vary in price and comfort, yet all provide some type of protection. A mouth guard should fit properly, be durable, easily cleaned, and should not restrict speech or breathing. Dental injuries can easily be prevented by getting a custom fitted mouth guard made by the dentist. 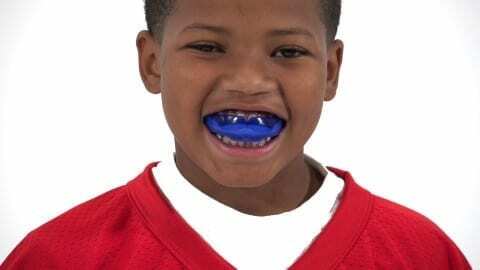 It is important to remember that damaged teeth do not grow back so protect that perfect smile by “Wearing a Mouth Guard.” I hope this Tooth Talk has helped our parents see the importance of getting Mouth Guards for the youth who are playing contact sports in schools, for camps, and for little leagues. Previous articleWhat Do You Fear?